B?sescu said he had “learned from Brussels” and was extremely surprised that the government had made a second nomination, in addition to that of Ciolo?, and accused it of not having respected the nomination procedure. 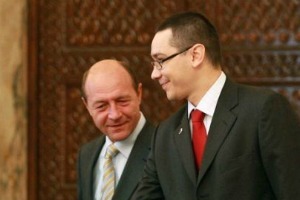 B?sescu, a centre-right politician and Ponta, leader of the ruling socialist party (PSD), are constantly at odds over issues. Romania will hold a presidential election on 2 November and Ponta is widely tipped to win it. His main challenger is Klaus Iohannis, an ethnic German and candidate for President of the centre-right Romanian coalition PNL-PDL. Sources told EURACTIV Romania a few days ago that the Romanian government might put forward other candidates if Ciolo? doesn’t get the agriculture portfolio. They had suggested that the Romanian prime minister might be willing to promote Corina Cre?u, the current vice-president of the European Parliament, for a commissioner post. Official sources told HotNews Romania that indeed, the second nominee is Cre?u. However, Ponta refused to confirm this information. Ponta is quoted as saying that Commission President-elect Jean-Claude Juncker informed him that it is very unlikely that a commissioner who would stay on would get the same portfolio as in the Barroso team. Ponta however adds that “the first choice of Romania remains agriculture and Mr Dacian Ciolo?”. He also said that he knew what the decision of Juncker regarding the Romania would be, but could not announce it before him. “The most important thing is that Romania obtains an important portfolio. The internal battles are less important,” the Prime Minister said. After the publication of this article, a Romanian website published the letter by Ponta to Juncker dated 30 July, in which the Prime Minister says that if Ciolo? cannot be given the agriculture portfolio or regional development, then Romania’s candidate is Corina Cre?u, for a portfolio to be further discussed. Romanian diplomatic sources said that in case Juncker opts for the female candidate, Bucharest would opt for the social affairs portfolio, coupled with a Vice President statute. A second choice appears to be the portfolio currently held by Bulgaria’s Kristalina Georgieva – humanitarian aid and crisis response.